Brenda has practiced craniosacral therapy (CST) for over twenty- five years. She is an Upledger Certified Craniosacral therapist and a Registered Biodynamic Craniosacral Therapist. In addition she trained as a shiatsu therapist and a certified advanced practitioner of Self Regulating Therapy (SRT). For many years she was a teaching assistant for a variety of Upledger courses including advanced CST, pediatric CST and Visceral Manipulation. 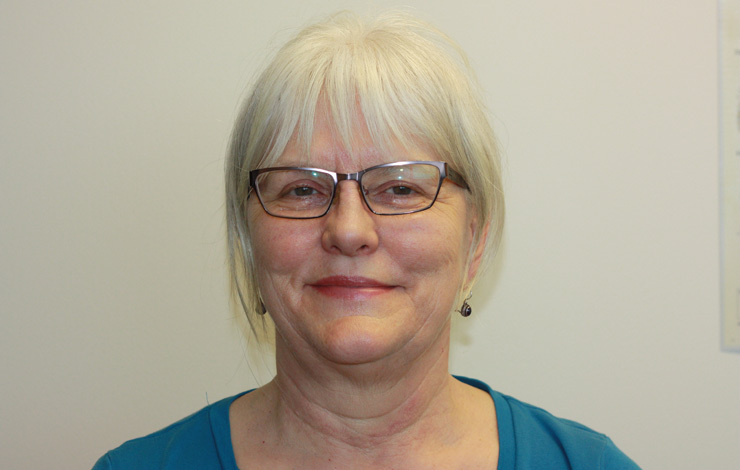 From 2009 to 2012 she was the clinical supervisor of the Langara College Craniosacral Therapy program, was the lead teacher for the training in 2013 and taught a pediatric CST training to graduates of the program. Most recently Brenda completed her studies in a three year comprehensive Pre and Peri-natal training with Myrna Martin MN, RCC, RCST. She has assisted a foundation training and a number of process workshops. She has many years experience and advanced training, working with babies and children and has particular interest in working with Moms and newborns to resolve breast-feeding issues. In her spare time you will find her in the garden, yoga studio, out on the many North Shore trails, or indulging in a resurging interest in singing in choir. She treasures spending time with her husband children and granddaughter. Craniosacral therapy is a gentle touch therapy that taps into our embryological blueprint for health. The blueprint is initiated at conception and is with us all our life. Its home is the fluids and it is always available. Biodynamic Craniosacral Therapy (BCST), Self Regulating Therapy and Pre and Peri-natal training are effective therapies that help resolve early trauma, and the more easily recognized effects of injuries such as concussions, motor vehicle accidents and sports mishaps.